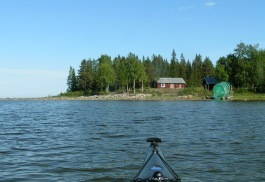 On Salmon Cod (Laxskäret) on the north east side of Wolf island (Vargön) lies our retreat cottage - Fisherman´s retreat. It is a small, charming, former fisherman´s hut, now available for you who want to retret and a short break from a hectic life, and just enjoy the sea and the forest. 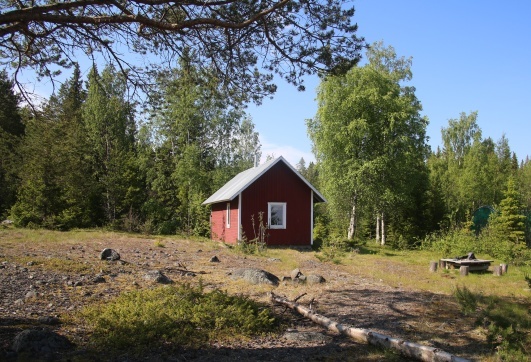 The cottage is located in the nature reserve Vargön with a fantastic old boreal forest to explore. Next to our cottages lies an even older fisherman´s hut open to explore. 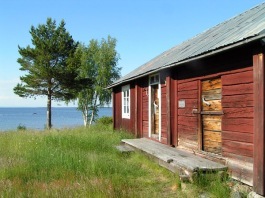 The Fisherman´s Retreat can in summer only be reached by small boats or by kayak, or by a 7-km hike from Koskäret on the south west side of Wolf island. It takes by boat about 45 minutes from Renöhamn to reach the retreat on Salmon Cod. 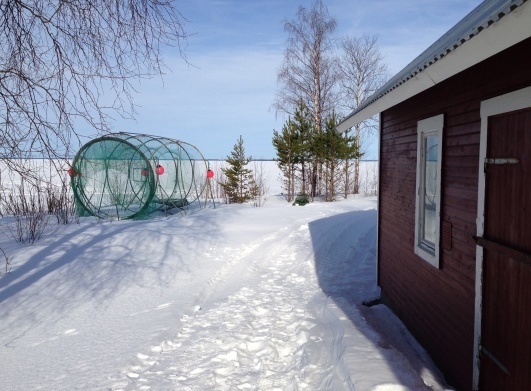 In winter you reach the cottage by snowmobile or skis from the mainland (Renöhamn 15 km, Piteå 30 km). The cottage is equipped with a kitchen with gas stove, gas fridge, a wood stove, and bed capacity for 2 persons with the possibility of one additional person on an air mattress. Other equipment includes fishing gear, cocking equipment, blankets and pillows. An outhouse will be your close to nature toilet. The two Fisherma´s cottages are located on Salmon Cod, an area still used by fishermen as a beacon for putting out salmon nets along the shore of Wolf Island. From the Salmon cod there is a beautiful view of the outermost islands of Piteå archipelago where the midsummer night sun or the northern lights reflect in the sea. The cottages are located in Wolf island nature reserve with an old boreal forest just behind the cottages where roedeer, moose, and occasional reindeer roam, and even the brown bear lives. The Sea eagle is nesting in the area and in the sea, you may spot the grey and harbour seal. 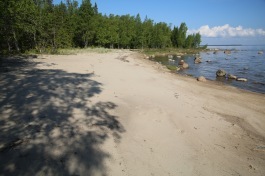 On a forest opening 200 m from the cottages lies an old labyrinth from historic fishermen, and about 200 meter along the shore is a nice sandy beach.